How I Found It: My dad sent it to me actually! Summary: Many couples met and married after only brief amounts of time together during the tumultuous days of WWII. This is the story of one such couple. What I Thought: This is the type of book I would have loved in my early teenage years. History, a dash of romance, a strong faith foundation for the story...all things I loved in my literature back in the day. I mean, I still really like those things, but these days it's not an exclusive list. Still, it's not surprising my dad randomly sent this to me via my Kindle account early this summer. He clearly remembers the reading tastes of that young girl well. This type of thing isn't often my speed nowadays, but I decided to give it a chance for the joy of both my father and my younger self. I knew within a few of the short chapters that, while it was not going to be my new favorite book, Kevin was going to love it. My sweet husband is a big WWII buff (saying 'fan' would seem way too weird here). As of this writing, he's about halfway through and my prediction was spot on. Although, he is confused how I read the whole thing in an hour or two altogether. My take? Well, it's a neat book. The Whipps have a story not unique from that era. 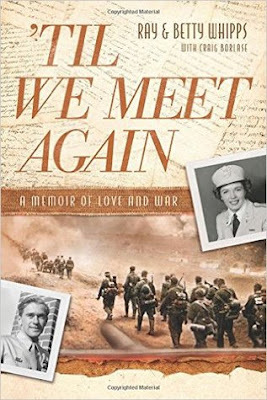 Young man heads to war, gets injured, meets beautiful nurse, proposes, more war ensues, and they end up reunited and living a long life together post-war. Of course, many couples were not happily reunited. Many others did not live happily-ever-after. And few had the strong bond of shared faith to unite them the way the Whipps did. 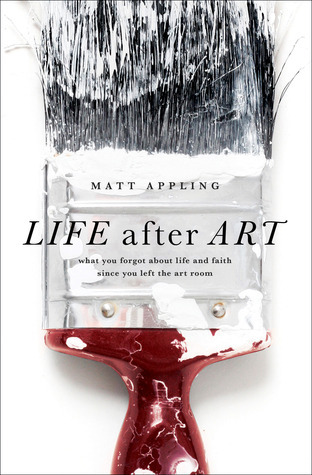 How I Found It: I think my mom recommended it to me quite a while ago. Summary: A young Chinese boy in Seattle gets caught up in history when he befriends a young Japanese-American girl just after the bombing of Pearl Harbor. What I Thought: This was a charming book. It deals with tough issues - racism, xenophobia, family dynamics - but does so in a way that makes them feel slightly less scary. Not less serious, just less frightening, particularly from a child's perspective. Watching Henry navigate WWII-era Seattle feels all too familiar. A similar story could easily be told of a young Muslim American or Mexican American today. Still, as he and Keiko strive to overcome the fears and failures of their communities, they are a testament to the open eyes and arms of children. Summary: Allen and Parnes examine Clinton's life, career, and public image from the point of her loss to Obama in the 2008 primaries. What I Thought: This week, Hillary Clinton will officially receive the Democratic nomination for president. It's a huge deal. Regardless of your politics, this is a really big moment in American history. She's the first female nominee of a major political party. We can argue all day long about her as a person and her as a politician, but you simply cannot deny that this is a big moment, just as it was when Obama accepted the nomination back in 2008. 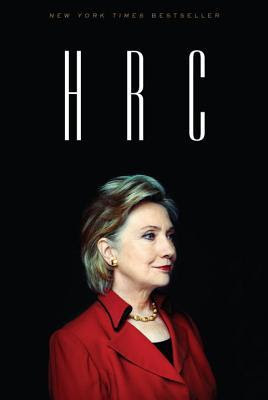 If you've been following the blog for the past few years, you know I've taken to book-based research of Clinton. So much of what we see in the media is sound bites or rhetoric. Not that those things don't exist in books, but they tend to be buoyed by longer explanations and a chance to look at situations in a more complete context. 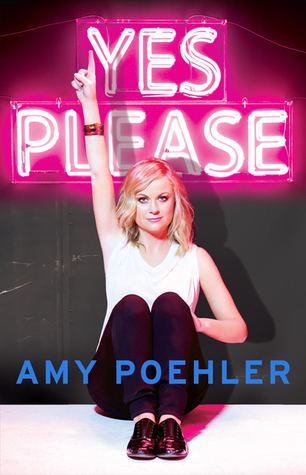 Summary: Poehler shares stories and thoughts about her life and career. What I Thought: Kevin aunt and uncle snowbird in Florida. On their way back north this year, they stopped in to see our home and share a wonderful lunch together. It was such a treat for us. As we talked, they casually asked if we know who Amy Poehler is. We exchanged a glance and offered a strong affirmative. We're big Parks and Recreation fans and have loved watching Poehler cohost the Golden Globes with Tina Fey multiple times. So, when it turns out people we know and love spent the winter lunching and playing pickleball with Poehler's parents, we thought it was pretty cool. On a recommendation from Amy Poehler's own parents, who read a small section of the audiobook, Kevin's aunt and uncle listened to the book on their journey north. They, in turn, recommended it to us. We snagged the audio book for our next trip. Let's just call this what it is...we read this book on a secondhand recommendation from the author's parents. It's not really a big deal, I realize, but it feels cool to have even a weak connection to bona fide celebrity whose work we admire. How I Found It: I've been a Miller fan for a while. 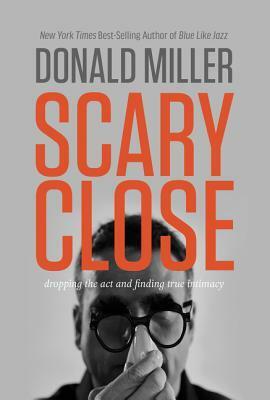 Summary: In the authentic, thoughtful style for which he has become known, Miller explores the idea of intimacy and how terrifying it can be to truly tear down the walls around your heart. What I Thought: I have been a Donald Miller fan since college. My freshman roommate had to read Blue Like Jazz for a class and I remember picking it up in our dorm room and flipping through the pages. It intrigued me. It would be a couple more years before I read it myself, but I remember that moment distinctly as my first interaction with his work. When I did get around to reading him....wow. I think I can confidently point to Miller as one of the first Christian authors I connected with as an adult. He ushered me into a new way of thinking about my faith. For the first time, I was recognizing both the fallibility and the beauty of the church and of individual faith. Reading him, I think, was one of the first times I realized that there was true Christianity outside of the fundamentalist bubble in which I had grown up. Summary: The dramatic, extensive, apocalyptic journey comes to a close. What I Thought: Whew. We did it. 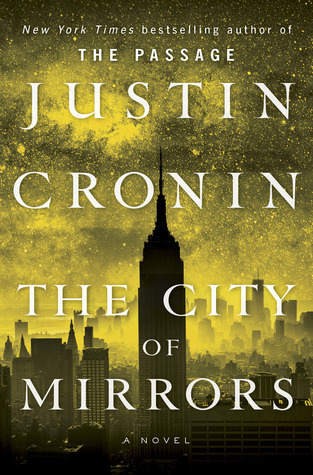 Another conflict of thought came from Cronin's extremely detailed storytelling. Again, on one hand, I liked that he was so thorough. He explores so many angles of the story and the perspective of so many characters. On the other hand, it gets long and some characters are really unnecessary. At points, the cast list starts to feel cluttered and hard to keep track of. He jumps from character to character and then, sometimes randomly, he jumps to an almost news-like report of what's happening. I have never seen a style quite like his and I am just really torn on how I feel about it. I do know, however, that there were some stretches where I just had no clue what in the world was going on. I mean, no idea. That was frustrating. I got it eventually, but I don't like being confused when I am reading. I felt the same about both sequels. I felt on the fence after the first book, ready to quit after the second, and only picked up this one because Kevin has really enjoyed this series and wanted to finish it. When he actually is repeatedly asking about something, I know I need to get my hands on it for the both of us. Thankfully, in this case, Netgalley had my back. Summary: We all were artists as children. So what happened? Why do we not exercise those creative muscles as adults? What I Thought: I loved this book. It reiterates so much of what I teach in my Intro to Humanities course. We are all created to be artists. God, as our Creator, made us in His image. Therefore, creativity is an innate part of our being. We all can create in different ways, even when it seems like a long forgotten part of our person. Appling proposes that three things happen on the way to adulthood. 1) Creating things stops being a priority, 2) we realize our limitations, and 3) we get lazy. As an elementary art teacher, he's in a good position to watch kids make these transitions. His writing is simple, but so on point. Summary: Becker finds herself immersed in a whole new world when she starts developing what can only be described as super powers. What I Thought: About a million years ago, Robertson contacted me and asked if I'd be interested in reading his book in exchange for an honest review. The concept sounded intriguing to me, so I accepted. To you, Anthony, I apologize for the crazy long amount of time it took me to get around to it. You were right, it's a quick read and I should have prioritized it sooner. Especially in the beginning, I felt some of the writing was a little forced. It felt contrived rather than natural conversation or descriptions. There were a few instances where I was begging internally for Robertson to show, not tell. I think this is a barrier that a lot of writers struggle with, myself included. It's a hard thing to do and few do it well. In my mind, those who show and don't tell - about everything: character emotion, plot points, etc. - are the ones whose books win literary awards. Robertson improved in this as the book went on. It made me wonder how long the writing process took and in what order the book was written. Some sections just seemed to have been written on a more eloquent day than others - a struggle to which I think every writer ever can relate. Some days the words just come easier and better. How I Found It: I loved these books as a child. 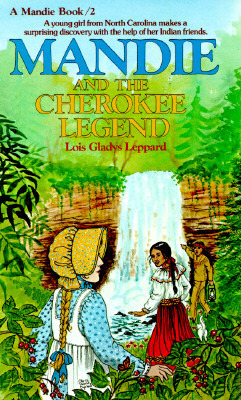 Summary: As Mandie makes the journey to meet her Cherokee relations with her newly discovered family, she stumbles into tensions between tribe members and the implications of an old legend. What I Thought: As I mentioned when I reread and reviewed the first Mandie book, I adored these books. There are dozens of them and I read them all. I haven't opened their covers since then, though, so when I grabbed them along with several other boxes of my books from my parents' house I thought it might be nice to revisit one of my childhood heroines. I have so enjoyed revisiting Princess Cimorene, this seemed a good idea, too. Samantha Ellis' memoir was apparently inspiring me before I even realized it. I loved rereading the first book. In so many ways, it felt like home. There were a few little things that bugged me, but, overall, it retained so much of what I loved about the series as a child. The books are short enough that I can fly through one in the course of an afternoon. I picked up this second one on a sunny afternoon when Kevin was working in the yard. He worked; I sat on the deck and read the whole thing. It was lovely. The book itself, though, did not satisfy me in the same nostalgic way its predecessor had. Instead, I found myself experiencing ethical indigestion. Summary: D-list celebrity of Edwardian Era, Zuleika Dobson arrives at Oxford to visit her grandfather. Her presence makes serious waves among the undergrads, most notably, the Duke of Dorset. What I Thought: This is a fun little book. Zuleika is a detestable heroine, quite self-consumed and famous for...well, not a whole lot. 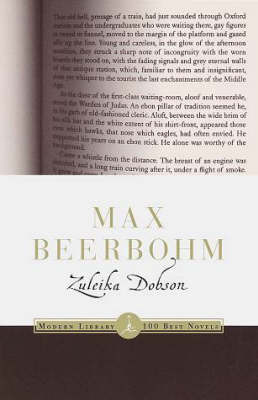 She's technically a prestidigator (magician of sorts) by profession, but Beerbohm doesn't make her fame too convincing. Her character reminded me quite a bit of the Kardashian sisters - which makes sense. They are practically living satire in my mind. 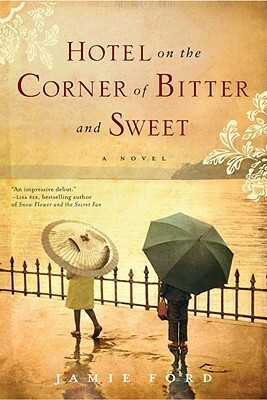 Upon meeting Zuleika, young men everywhere seem to swoon and fall madly in love. It's quite ridiculous. Both the Duke of Dorset and his chum Noaks become enamored with her before even speaking to her. Dorset becomes so enthralled that he declares he shall commit suicide for her; this after she has spurned his advances. The rest of the undergraduate class pledges to follow suite, all in the name of the cold-hearted beauty. Summary: A royal nanny, particularly in days of old, carried tremendous power to shape the lives of charges, who would one day, in turn, shape the world. 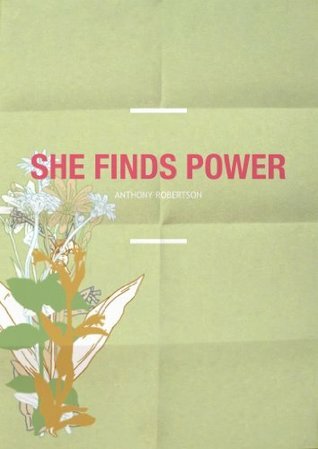 This is the fictional account of one such real woman. 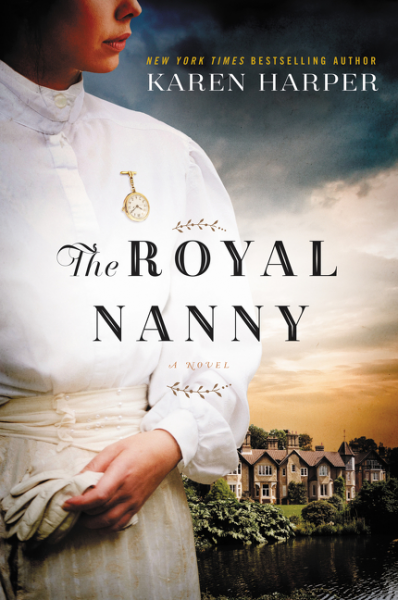 What I Thought: Normally I don't read historical fiction like this. Especially not about people or subjects I am already interested in. So often, I get annoyed at the liberties taken by the author or I just want to read about what really happened rather than someone's speculation on the events. Every once in a while, though, I take a risk. Sometimes they pay off; sometimes they don't. Thank goodness this one did. The Royal Nanny follows the life of Charlotte Bill, "Lala" to her charges. Nanny to the great-grandchildren of Queen Victoria, she cared for the six Wales children. The two oldest boys would both reign as King in time. David, the oldest, became King Edward VIII. He famously abdicated the throne in order to marry Wallis Simpson, an American divorcee. His younger brother, Bertie, would become King George VI, father of Queen Elizabeth II and eventually portrayed by Colin Firth in The King's Speech. So, while Harper's characters are living a life of luxury with electricity and the introduction of indoor plumbing, this history is really fairly recent. 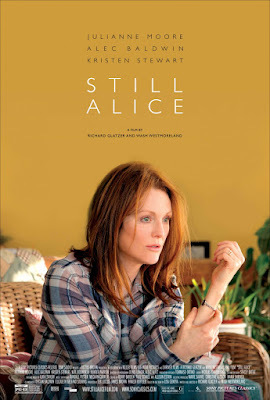 Summary: Julianne Moore stars as Alice, a Harvard professor whose life is turned upside down by early-onset Alzheimer's. What I Thought: Shockingly, I actually watched this movie before reading the book. All you really need to know is that it was so good I picked up the book that same day. A lot of my same thoughts from the book carry over here. In addition, the cinematography, the acting, the general decisions made to adapt the story for film all are masterful. Julianne Moore is a force onscreen: accessible, formidable, emotional, and in total control of her character's loss of control. The Oscar she won for this role was well deserved. One thing I particularly both liked and disliked was the removal of any dates from the story. Where the book, as I learned, includes a rough timeline for readers, the movie has almost none. Gone are the touchstones of months and years so you can track passage of time. Instead, like Alice, you must rely on contextual clues. To me, this felt like a decision that made her struggle more authentic. After all, it frustrated me at times to not be sure how much time had passed between scenes. It seemed a small shared piece of the character's experience. June has been so insane. I mentioned last month that we were going to be traveling a lot. I don't think I really understood myself how nuts this summer was going to be. I'm basically operating on a one week home, one week gone schedule all summer. We're both doing some work travel and then lots of family stuff as well. It's making things a little insane, but it's been so fun, thus far. TSA lines have been a complete breeze, which I'm thankful for after all the hype. We have one more flight in July, but we're not anticipating it to be too difficult due to the times of day we are flying. With as busy as things have been, you would think my reading would slow down. The glorious thing about travel, though, is how much reading time I gain. I know I talked about this last month, too, but, my gosh. I always forget how many books I can fly through on a trip. I've was literally reading in planes, trains, and automobiles all over the country this month and it shows. 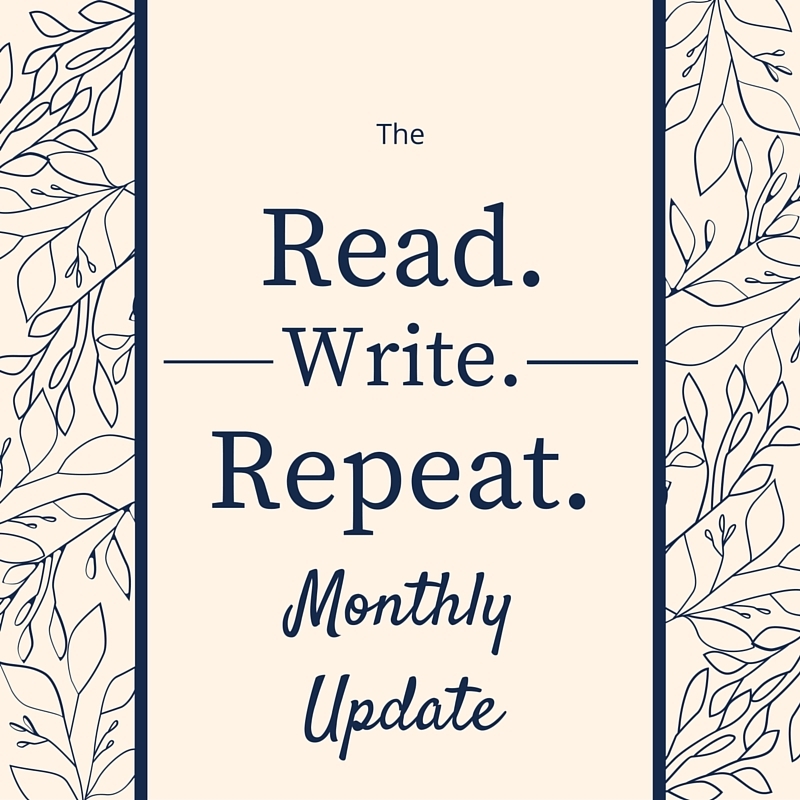 From walking the streets of San Diego exploring and listening to audiobooks (only one earphone in, guys - I know about street safety) to reading physical books on the beach in Michigan to the plethora of ebooks on airplanes, it's been a prolific reading month. In fact, I beat my own monthly personal record, set earlier this year in February. And July is looking to be similar. I'm particularly looking forward to a week at the beach with my immediate family. That week is what Kevin and I are considering our real vacation this year and we are pumped. It's going to be great family time, but also a great time to relax before the school year starts. The timing worked out perfectly and we cannot wait to just crash and soak up the sun. 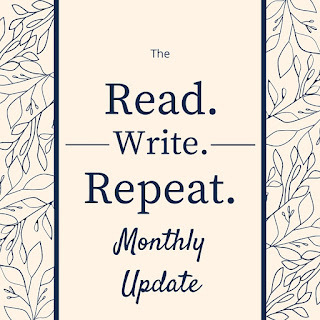 That week will be ideal for reading, too. I have really scaled back my travel with physical books due to space constraints when flying this summer (my accomplishment of the year was packing for a 6 day trip in a backpack), so driving to the beach will be great. I plan on taking a serious stack of physical books. It's going to be a great chance I have to clean up and clear out my literal TBR shelf on my desk. I don't like reading on my iPad at the beach for a variety of reasons, so I'm looking forward to all the actual pages I'll be turning.